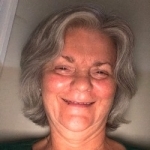 Cynthia B. Flynn has a Master’s and PhD in Sociology from the University of North Carolina, Chapel Hill, and a Master’s in Nursing from Yale University. She was tenured in Sociology at the University of Kansas, where she specialized in Marriage and the Family and Research Methods. She has practiced as a full-scope Certified Nurse-Midwife in home, birth centers and hospital settings for over 20 years. In addition she has done extensive research on the latest findings about domestic violence. She has conducted 10 sessions of “Daddy Boot Camp” for both male and female perpetrators of domestic violence, and speaks regularly at national conventions for health care providers about the assessment and treatment of domestic violence. She also does individual and couples counseling for persons involved in DV. There are many types of domestic violence other than intimate terrorism, and which types are illegal. Learner will be able to describe how the legal system treats different types of DV, and the resulting effects on the family, especially the fetus and children. Learner will also be able to explain how mandatory arrest laws differentially affect middle class white couples vs. low-income African-American couples. Finally. learner will be able to identify key components of an effective treatment program when considering referrals.